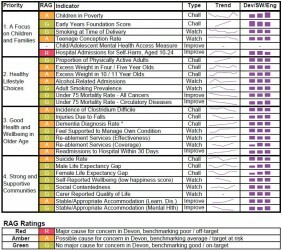 The Devon Health and Wellbeing Board have developed a robust performance monitoring framework. A standard template has been designed (see Summary: appendix 2) and is used for each outcome indicator relating to each of the four themes in the Joint Health and Wellbeing Strategy. 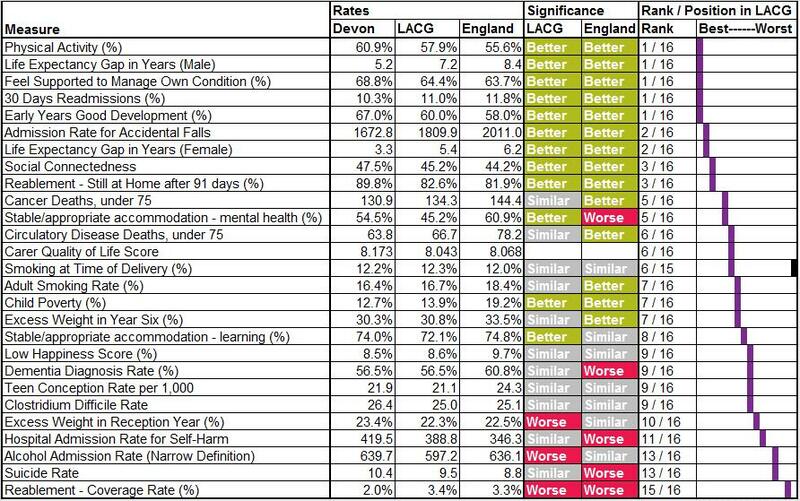 Summary: Appendix 3 provides benchmarking information which identifies some areas where Devon is worse than regional and England comparators but in most cases the outcomes are better. 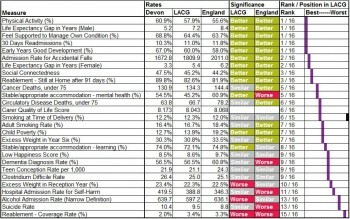 Comparative analysis of local performance is facilitated as the data is presented by top tier authorities, Devon district authorities and Clinical Commissioning Groups. 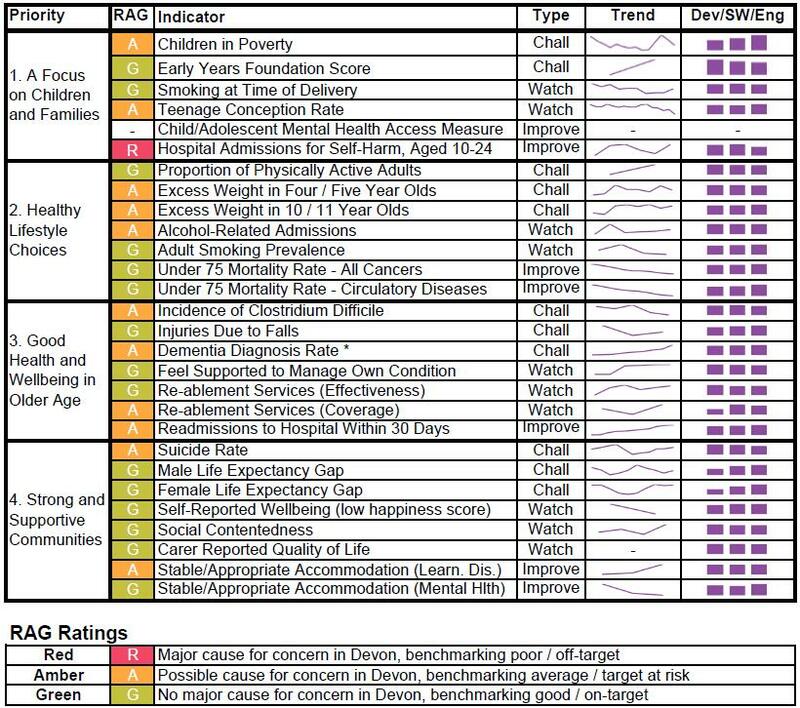 The next section provides an overview of the main outcomes, drawn from national frameworks, of relevance to Devon that have been selected for each of the priority themes and sets out any further actions.